Salmon/olive oil/ nuts too expensive??? Get your dose of fiber, protein and Omega 3 fatty acid from flaxseed (आलस in Nepali) , sprinkle a pinch of it on yogurt, oatmeal, fruit, and veggies, or drizzle flaxseed oil on salads and get your daily dose of essential ( healthy) fat. This entry was posted in All Recipes, Health tips by Kamakshi. Bookmark the permalink. 	Good source of Omega-3 fatty acids: Flax seeds are rich in omega-3 essential fatty acids which help in combating inflammation. Omega-3s are especially good for those suffering from hypertension, as it helps to regulate blood pressure. 	Rich in multiple nutrients: High in nutrients such as vitamin B complex, magnesium and manganese. They also help to lower cholesterol. 	Anti carcinogenic properties: Flax seeds have high levels of lignans (plant chemicals with lots of health benefits) which help in protecting against breast and prostate cancer. 	Protection against diabetes: Flax seeds are known to decrease insulin resistance and help in regulating blood sugar. 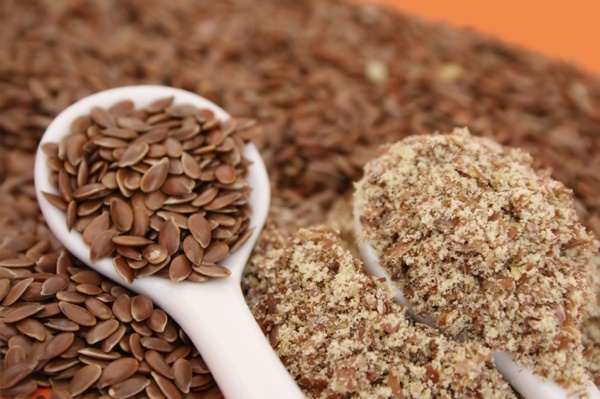 The lignans in flax seed may actually help prevent diabetes. 	Good for weight watchers: Flax seed is very low in carbohydrates, making it an ideal choice for people who limit their intake of sugar and starch. It’s also a delight for vegans and vegetarians as it is a non-animal source of omega-3 fatty acid and is often used as an egg substitute in baked products to add structure and body to the food. 	Beneficial for women’s health: Research shows that flax seed is especially beneficial for women. It’s known to help women improve their chances of conceiving a baby. Flax seeds also helps to promote normal ovulation and in restoring hormonal balance. It’s also been known to protect postmenopausal women from cardiovascular disease. 	Protection against dry eyes: The Omega-3 fatty acids in flax seed help to fend off dry eyes. Ideally, flax seed should be consumed in the grounded form rather than as a whole seed or as its oil. Light grinding allows a better nutrient absorption (or else they will just “pass through”), while flax seed oil alone contains neither the fibre nor the phytochemicals (plant chemicals with disease fighting properties) of the seed itself. Start slowly if you aren’t used to a high-fibre diet. Grind it coarsely and drink plenty of water along with the powder. You could have it with your cereals or hot and shakes and smoothies or even add it to homemade cookies, vegetables or salads. To get maximum benefits, 2 tablespoons of ground flax is recommended per day. Though it’s still being researched and until more is known, pregnant and breastfeeding women should check with their doctors before eating flax seed. Also check the quantity you can have in a day.